It was a good day for another Harry Potter 6 Update, or is it. Just wanna share this new Harry Potter and the Half-Blood Prince poster released today. 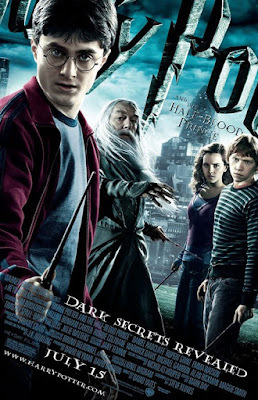 The poster features the main cast Danielle Radcliffe, Michael Gambon, Emma Watson and Rupert Grint. I dunno, it looks like comicbookish. They look like super heroes. It also doesn't look natural making the characters look like CG from the games. But I admit it, I'm excited to see it in July.